When Fiend Binder attacks, tap target creature defending player controls. Well you currently have 2 Mausoleum Guard'S and 2 Raise the Alarm'S in the deck. Fiend Binder you can take out. And Haazda Exonerator. These all seem like an easy cut. Dearly Departed (You have no reliable way to get it into the graveyard), Fiend Binder, Elder Cathar, Midnight Guard, Cathars' Crusade (a bomb in EDH, not Modern)..
And finally, Loxodon Warhammer is strictly better than Butcher's Cleaver.. Basilisk Collar & Brave the Sands might be worth considering too.. I like the look of this list so far! 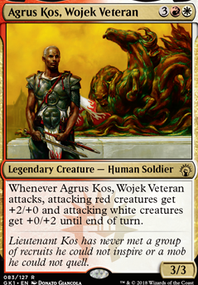 Innistrad block was great for humans, and I think this mono-white take on humans definitely has potential. I have a few suggestions that may be helpful. First, Hanweir Militia Captain Flip would be really strong in such a creature-heavy deck, and he's a human that creates other humans, which is sort of a nice bonus. 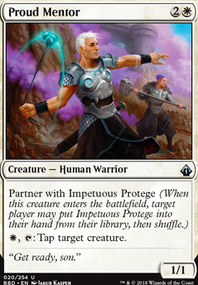 Repel the Abominable works beautifully with this, giving you either a Fog or a way to wreck your opponent's creatures, depending on the circumstances. 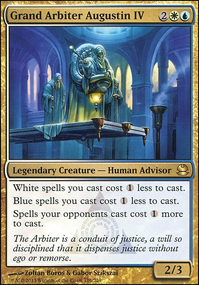 Gideon, Ally of Zendikar could be really strong here as well, since his +1 makes him an indestructible Human and his ult boosts your guys. My only other suggestion is Make a Stand, which can save your creatures from a boardwipe or allow you to swing in for a ton of indestructible damage. I might consider taking out Fiend Binder. While having your opponent's creatures tapped can potentially be convenient, I don't think it's a strong enough card that you need it in your deck. Ideally, this deck should be able to handle your opponent's board no matter how many untapped creatures they have. I hope this advice was helpful! I wish you good luck in all your future deckbuilding endeavors. So my comment got deleted, but take out stuff like Thalia, Heretic Cathar, and Grand Abolisher for things like Fiend Binder and Oblivion Ring. You can perma exile with them and a blink card. Msg me on tapped out for details if you don't know how. BioProfDude on Mono White Lives Matter!!! In a mono color deck, there is absolutely zero need for Evolving Wilds. Just replace those with Plains. 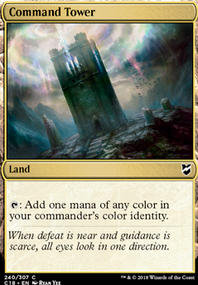 If you replace them with a Plains, every time you would have drawn Evolving Wilds you would instead draw a Plains. I would try to make room for 4x Hanweir Militia Captain Flip. That card is highly undervalued. You get a 2/2 for , and it flips to be power/toughness equal to the number of creatures you have (including itself), and it generates a 1/1 human token each turn (which can trigger Thalia's Lieutenant). 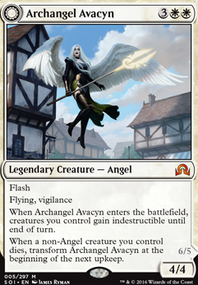 Maybe replace 1x Archangel Avacyn Flip, 1x or 2x Collective Effort, and 2x Fiend Binder (a good card, but expensive converted mana cost compared to Hanweir Militia Captain Flip). 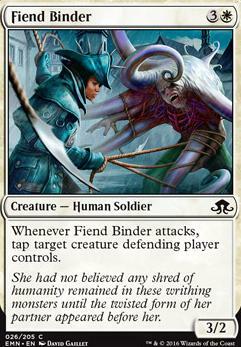 Soon as Sanctifier of Souls is available on here it will be replacing Fiend Binder possibly if the play testing with it goes well if not the fiend stays put.